If you’re looking for a way to make your own romantic DIY wedding invitations on a budget, hand torn paper may be your answer! 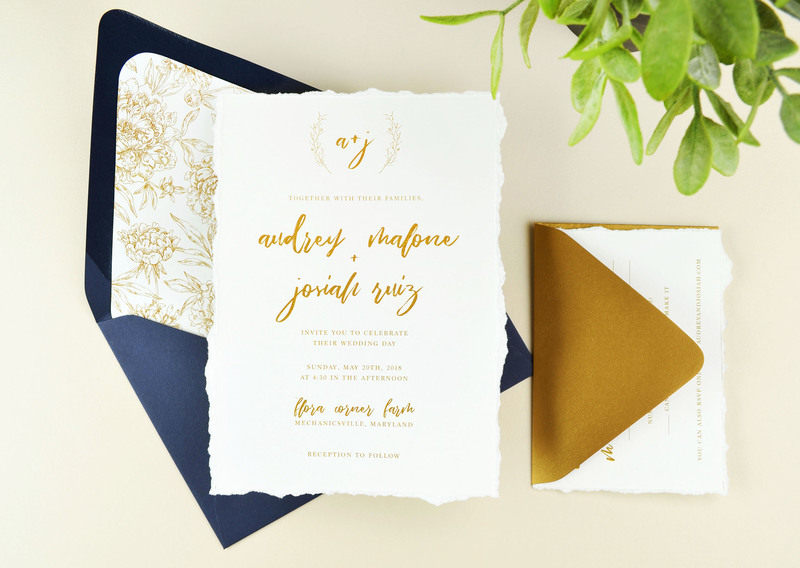 Hand torn, or deckle edge paper is used often in modern wedding invitations to create a soft look that’s full of organic texture and unique style. 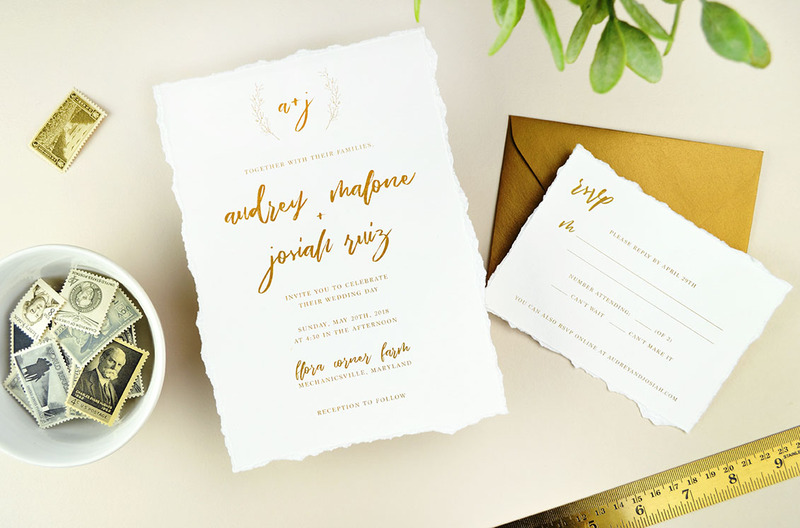 Add this embellishment to your wedding invitations without breaking the bank on handmade cotton paper. You can get a similar look, DIY style, with a good quality, heavy paper and a little bit of time. 1.) 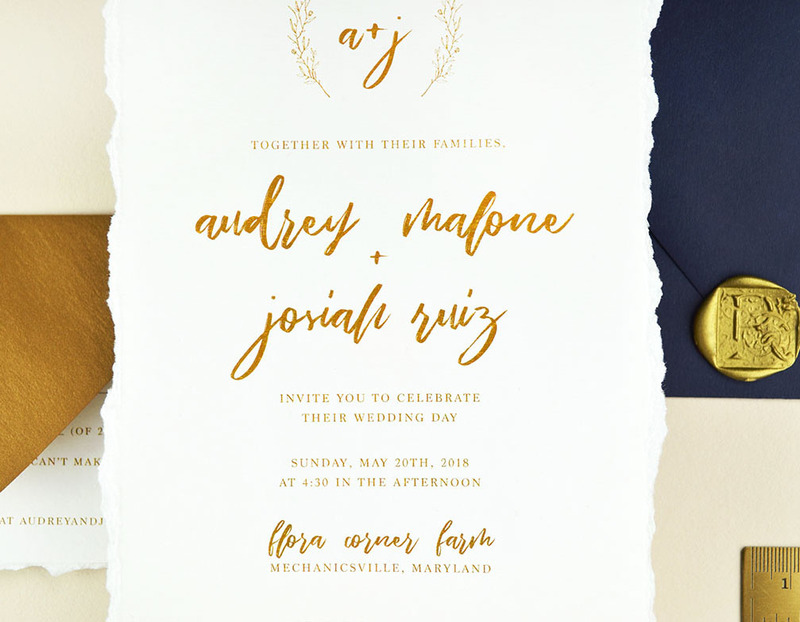 Print your invitation design on a heavy paper. We used our Snow White cardstock for this invitation. Paper with a bit of texture works even better. Make sure to include trim marks on your print so that you will have a guideline to use while tearing. 2.) Line up your ruler on one side of the invitation, making sure you’re pressing down firmly to keep the ruler in place. Slowly start ripping your paper against the straight edge of the ruler, in short little tears. Change the direction that you rip slightly for variation. *TIP: You can also use a paint brush to add a light line of water along your trim lines. This can help the cardstock to tear unevenly, adding variation to your paper’s edges. You can see this DIY process in the video below, and the results using our textured Snow White cardstock without adding water. 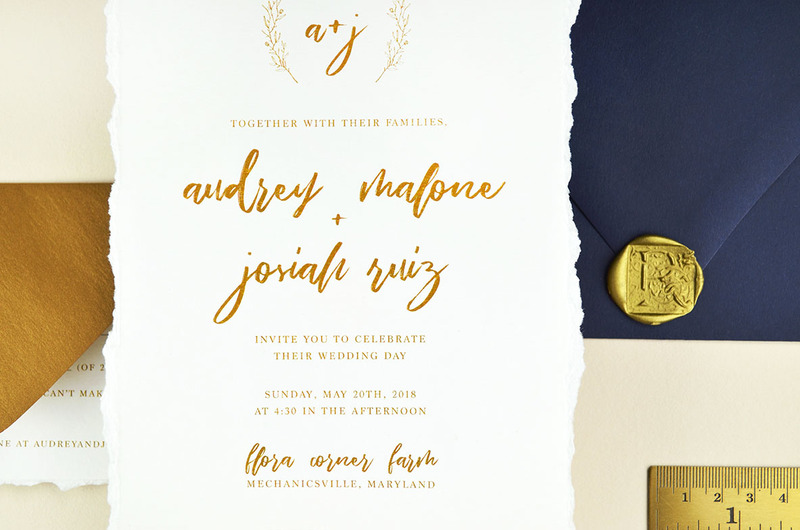 The great thing about this DIY is that each invitation will be different; variations and imperfections should be expected, so there is no pressure to create the same exact look every time. This project can be time consuming depending on the number of invitations, but the results are worth it! 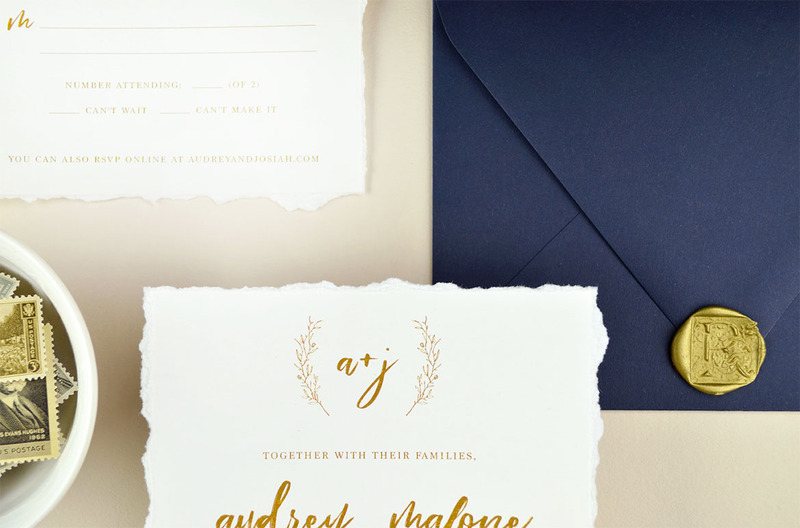 Finish off the suite with coordinating envelopes and accessories like envelope liners and wax seals. Have any questions about DIY hand torn paper invitations? Let us know in the comments below!